Most people do not realize just how important social media is to automotive SEO. While you might be managing both of these campaigns separately, they actually work together, and if they are not being run as if they work together, these campaigns might be fighting each other. Social media is a huge part of search engine optimization, and if you have not yet taken the time to think about how and why they work together and how to make sure your campaigns work together properly, now is the time to start. 1. Social sharing is the new link building. The might be a slight overstatement, but it is impossible to ignore that Google has started to pay more and more attention to how many times your content and links are shared on social media. They have not started to downgrade the importance of linking, but because shares on social media actually act a lot like links built in forums and directories, there is a huge opportunity on social media for improving your link profile. Shares on social media profiles that get attention show Google that you are connecting with your potential customers and that you have something valuable to say that your audience actually wants to hear. 2. Content shared on social media is indexed faster. Content shared to your social media profiles will actually be indexed much faster than content just posted to your website or blog. Because social media is a conglomerate of pages that link to one another and back again. Search engines will always find and index content on heavily-linked webpages before it finds and indexes content that is not posted on heavily-linked pages. You can actually reduce the amount of time it takes for Google to recognize and index your content from a few hours to just a few seconds. Because Google+ has not really taken off like other social media has, many dealerships have not really thought about how important this social media is to the search engine they are trying to rank on. If you are a Google Author, you will automatically be given more ranking juice than someone who does not have Google Authorship. When someone searches for your content, they will find your Google+ profile, if you have used it as a means for linking to your content and from your content back to Google+, giving you an additional way to reach out to readers. 4. Improve the effect of your keywords. When you post content that includes keywords on your social media accounts, those keywords have double efficacy. They count as keywords, first and foremost, but they are given extra weight if that post and your profile are getting lots of attention. This means that if you have an active social media profile with engaged followers, you can post content from your website or blog, link it back to your website or blog, and that content is going to be much more effective than if you only posted it on your website or blog. 5. Better rankings for more followers. Is search engine optimization becoming a popularity contest? Google doesn’t just look at how many followers or friends you have, though it definitely takes that into account. It also looks at the quality of those followers. An account that has a hundred loyal, interactive followers is going to give you more social juice than an account with a thousand followers that never interact with the posts that account makes. 6. Increases the authority of your domain. Not only can social media actually improve your authority, it can also improve the authority of your domain. As you share more and more content and your followers turn around and share that content again, you will be gaining authority, improving your ranking as you go. Every time you share a piece of content, you are hopefully driving people back to your website. This shows Google that you are a credible source of information and that people are responding to the information that you share. Sharing content on social media will prove that you are valuable to your readers, which is exactly what you want to prove if you want a great ranking. 7. Improves the efficacy of your local automotive SEO efforts. There is perhaps nothing better for local SEO than having a healthy social media campaign. Social is extremely geo-targeted. 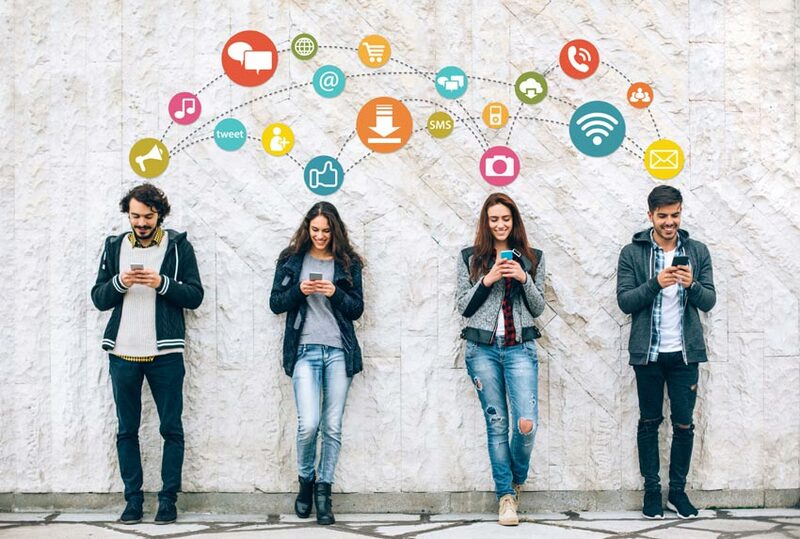 Not only do all social media give you the tools to reach out directly to people just in your local area (who are the most likely to be the people coming to your dealership and buying vehicles form you), social media helps you develop a very real connection with the people in your area. Unlike other types of advertising, social media encourages personalized connections. 8. Helps you personalize your network. Some search engines work better with certain social media. Bing, for example, favors Facebook. Google obviously shows preference to Google+, but they also rely heavily on the social signals of Facebook and Twitter to determine how relevant and useful a webpage is going to be for their searchers. If you are trying to reach out to a certain demographic, using one social media over another could help you do just that, as every social media attracts a different type of person.